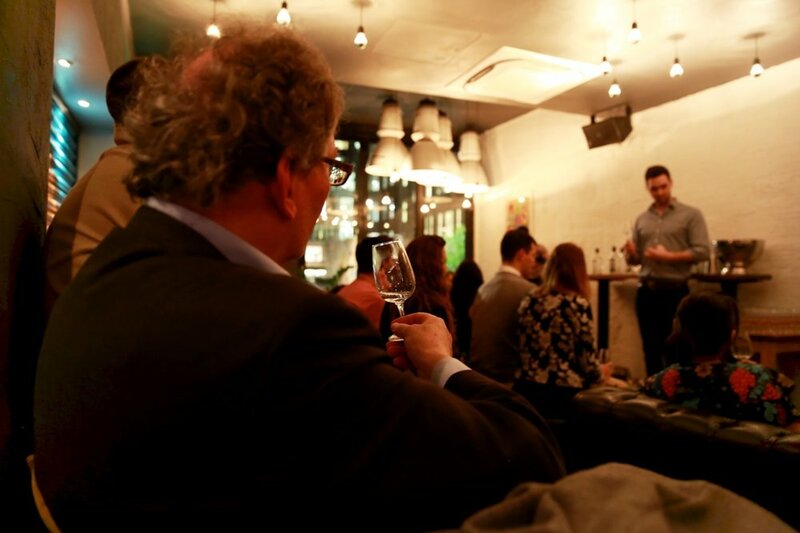 I popped along to Graphic Bar in Soho, on a quiet Monday evening, to check out their Gin Social – a new sort of get together for like-minded gin lovers*. 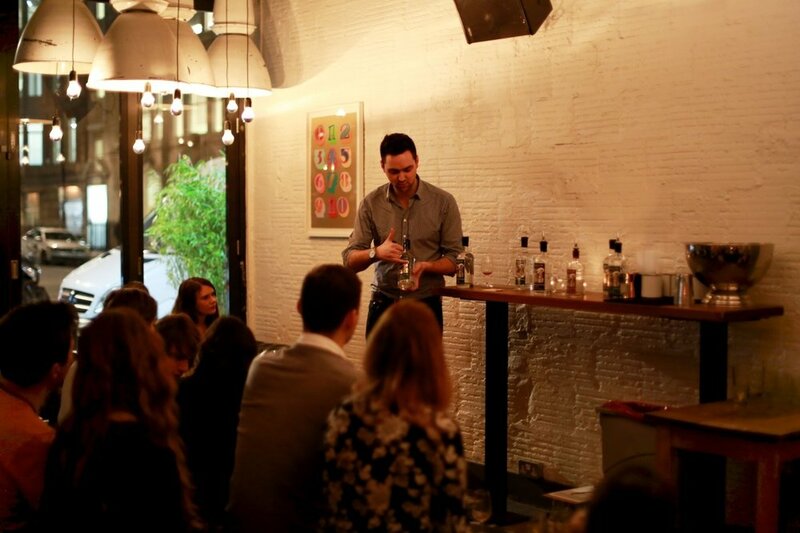 It was a fun, gin-laced and educational evening, set in a very nice, ambiently lit central London bar. The Graphic Gin Social is a monthly celebration of this delightful spirit (affectionately known as Mothers Ruin), served with a dash of juniper-flavoured history. The session I went to was hosted by Sipsmith, a traditional copper distillery (their still is called Prudence!) I discovered that Sipsmith were actually the first gin distillers to be granted a licence in London for over 200 years! 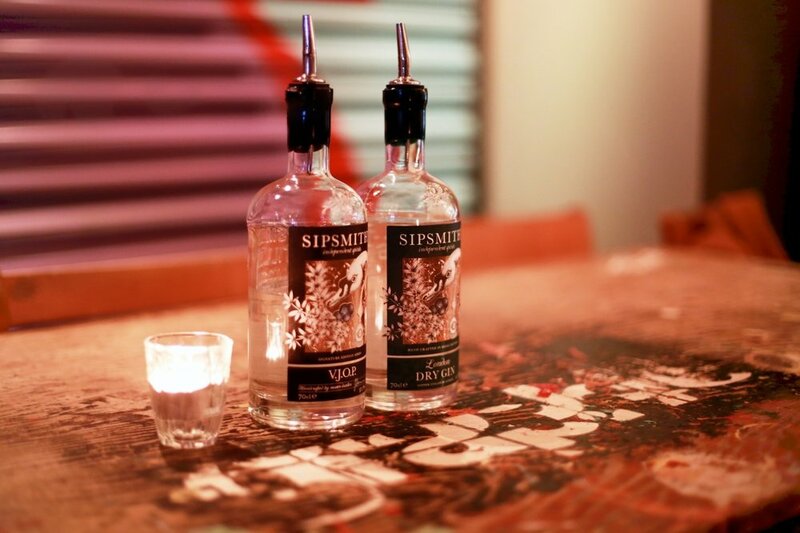 From learning about artist William Hogarth’s depiction of beautiful Beer Street versus grim life on Gin Lane, to then getting a taste of Sipsmith’s London Dry Gin, V. J.O. P, and finally a glass of their wintry Sloe blend, it was certainly a great way to warm our cockles on a cold winter’s eve. Be mindful to have something to eat first… We were a bit drunk by the end of the evening, after three shots of gin and two cocktails. We stayed behind after the event ended and enjoyed a rather funny bit of archive Roller Derby footage. It. Was. Brutal. Followed by a couple House Creations from the well thought out drinks menu. I can definitely recommend their cocktails. Anyway, with fire in our bellies, we eventually rolled out of Graphic and into Mildred’s around the corner, to soak up all the gin. If you’d like to learn more about gin, the Gin Social events start at 6:30pm, tickets cost £5 and can be booked through Eventbrite. On the night participants receive a welcome G&T, a food pairing, a Gin cocktail and a free Gin Social members card entitling the holder to 25% off Graphic Bar’s Gin of the Month. Thank you to Kapranos PR for the invitation.